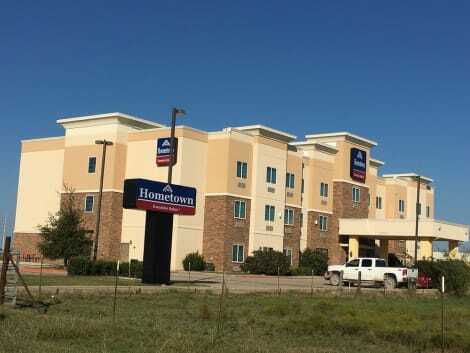 With a stay at Hometown Executive Suites in Bridgeport, you'll be steps from Lyndon B. Johnson National Grassland and a 4-minute drive from Bridgeport Heritage Museum. This hotel is 2.2 mi (3.5 km) from Harwood Park and 3.2 mi (5.1 km) from Bridgeport Country Club. With a stay at Econo Lodge Inn & Suites in Bridgeport, you'll be steps from Lyndon B. Johnson National Grassland and a 3-minute drive from Bridgeport Heritage Museum. This hotel is 1.8 mi (2.9 km) from Harwood Park and 2.9 mi (4.7 km) from Bridgeport Country Club.